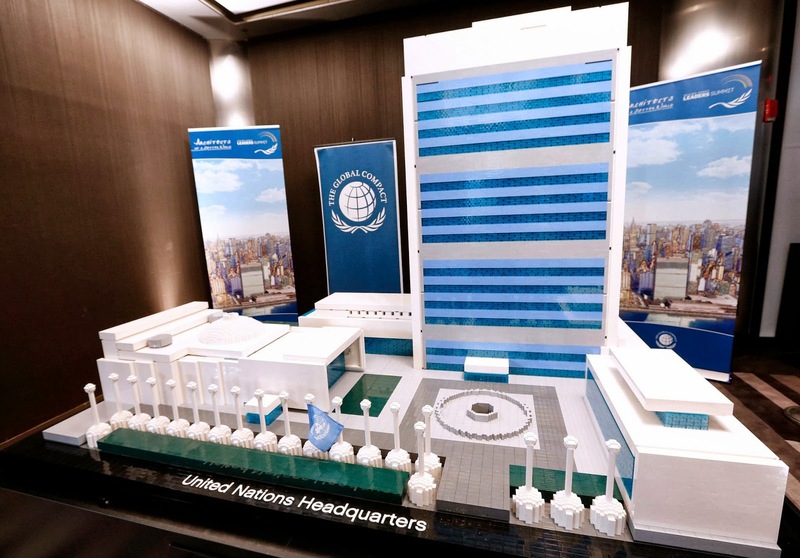 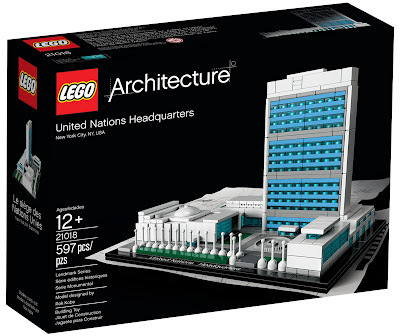 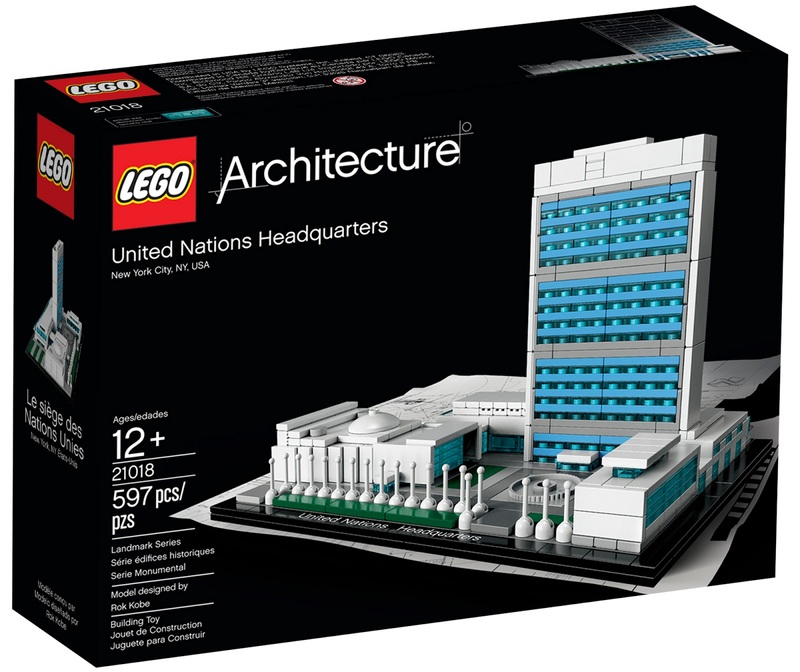 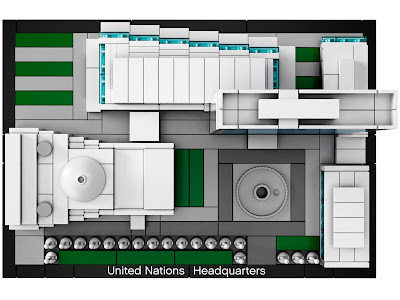 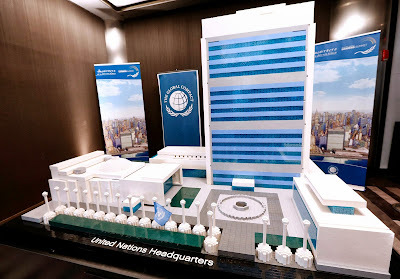 And here are some images of the real 21018 United Nations Headquarters set. 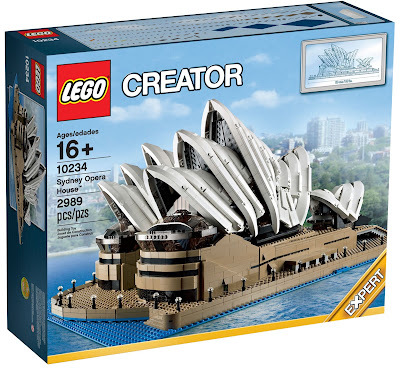 Despite not having the most exciting architecture to base the set on, I think this has translated into Lego beautifully; there are some really clever building techniques here, which I think makes this one of the best Architecture sets so far. 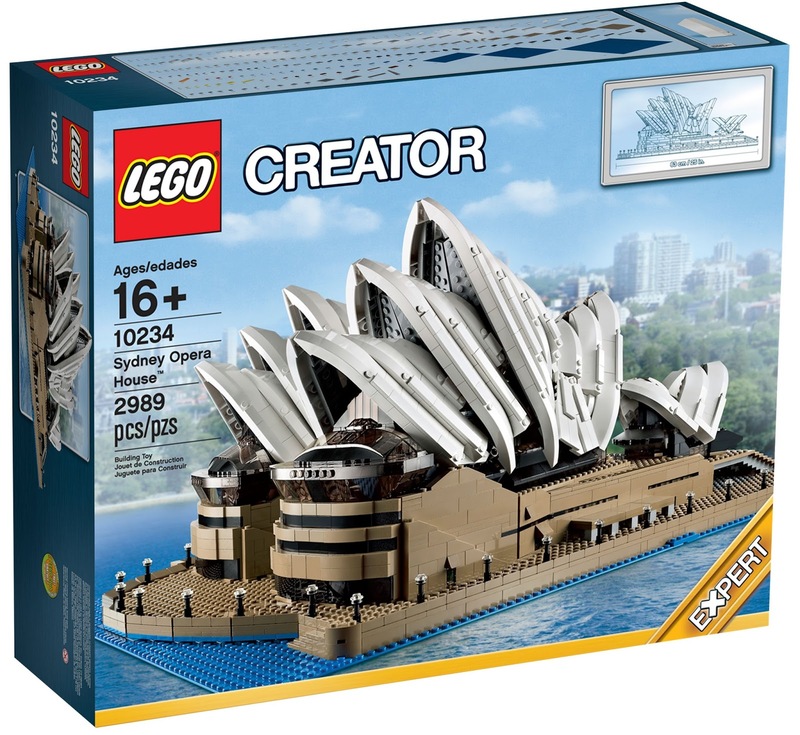 The most recent Architecture set was also quite an interesting one, continue after the jump for a look at that, as well as the latest excellent Architecture project from Cuusoo. 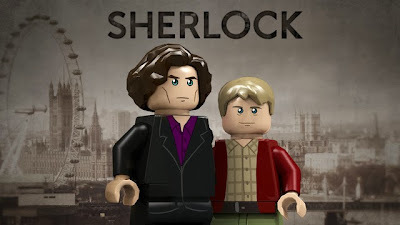 Another Cuusoo project has got to the review stage, this time based on the brilliant BBC series Sherlock. 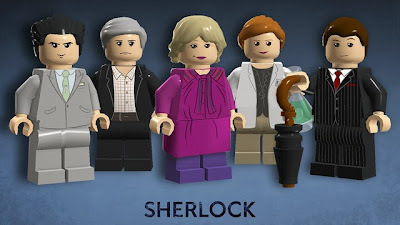 The Sherlock project has zoomed to the ten-thousand mark in less than a month thanks to enthusiastic support from fans of the show. The designer has also posted minifigure designs for the series' major characters, though anticipates the smaller format set would come with Holmes, Watson, and maybe one other character. 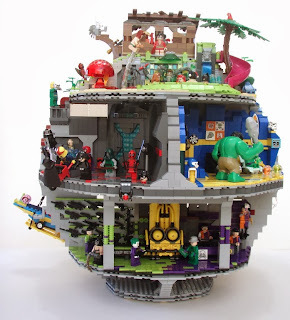 While I admired this proposal from the first day it was posted, I never took the opportunity to support it, as I don't feel it has a very good chance of getting past the review; I just can't see Lego oking a series which is very much targeted at an adult audience. 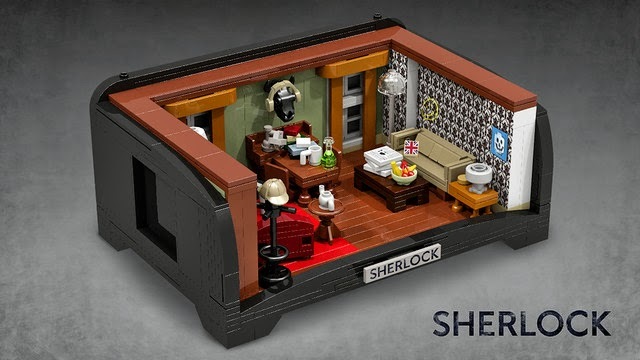 But I'd love to be proven wrong, so look forward to the outcome of this review! 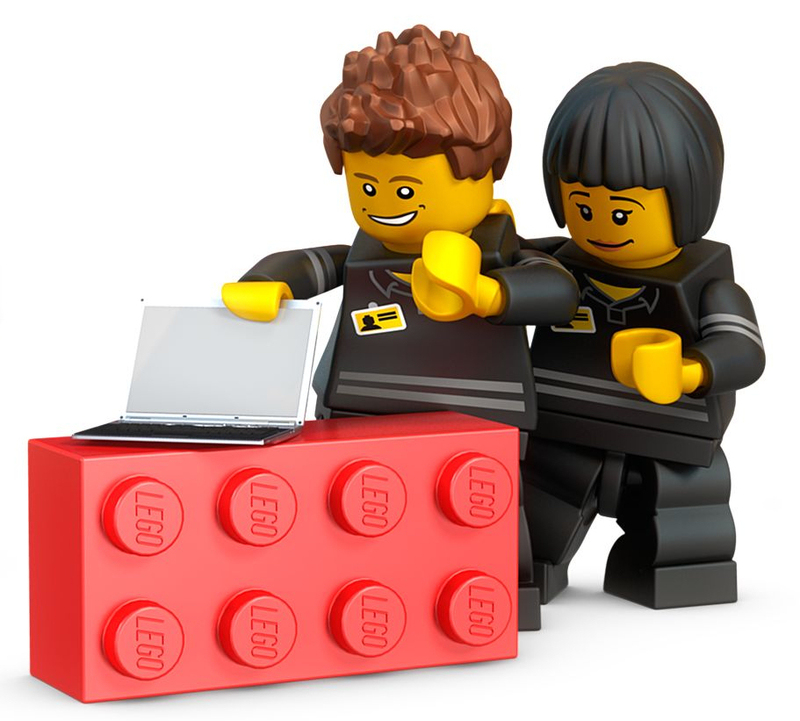 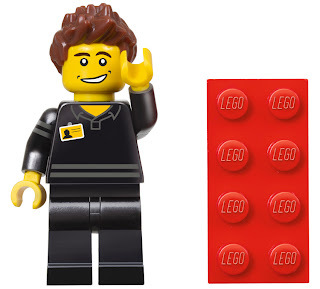 I wonder if they'll do a Lego store girl too? The autumn review period only just closed on Cuusoo, so the latest project to pass the ten-thousand milestone becomes the first idea to get into the winter review. 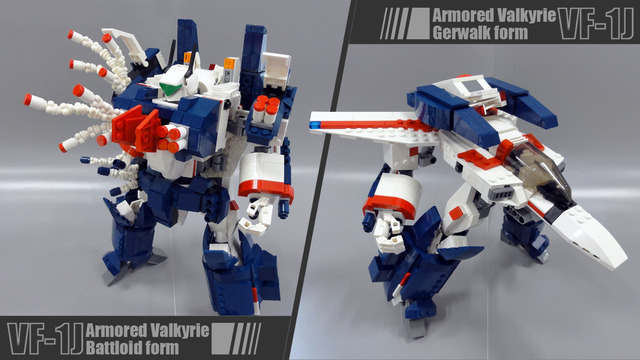 That proposal is the Macross VF-1 Valkyrie, a transforming mecha sort-of-thing based on an (apparently) classic Japanese animation. 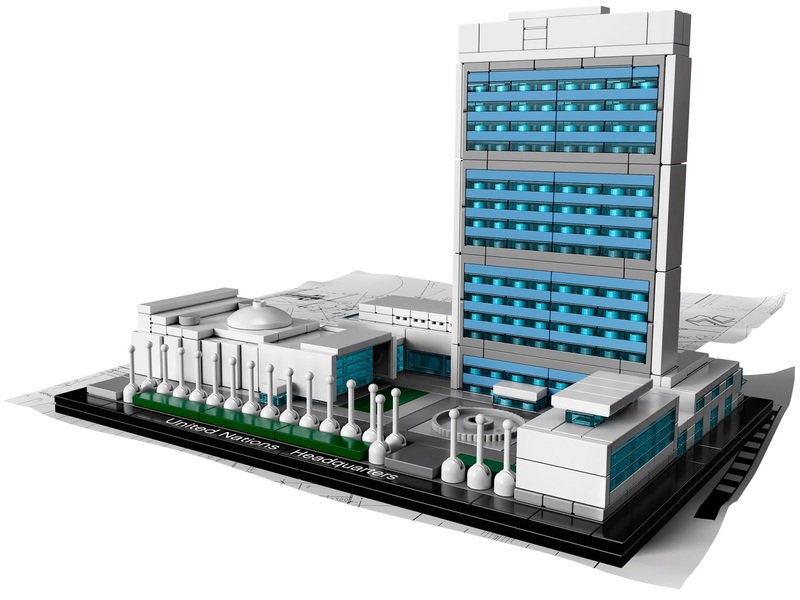 The project has been around for ages, gradually building support, but unlike other recent successful projects not relying on big spikes of social media support. 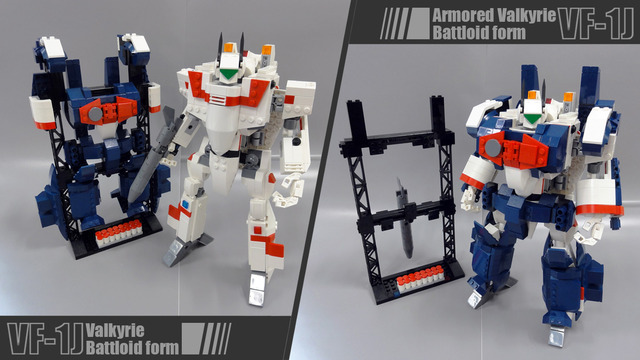 The proposed set would be a transforming robot, that goes from humanoid form to partial aeroplane, along with two different sets of armour to give it different looks. 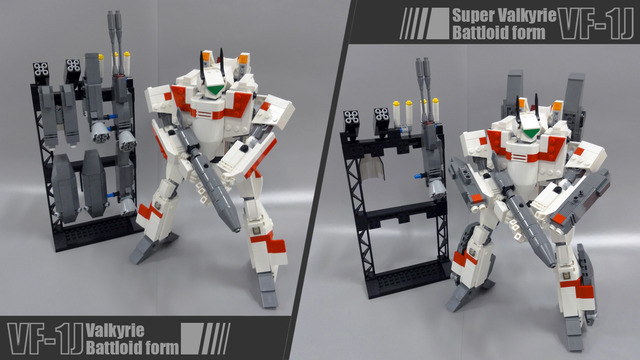 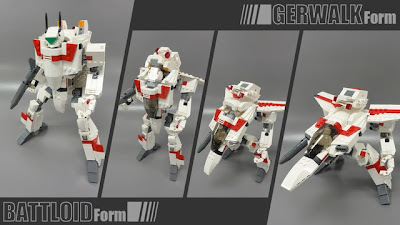 Having no familiarity with Macross I don't have any knowledge to consider the suitability of this project in terms of brand fit, but a mech design certainly wouldn't be alien to Lego. 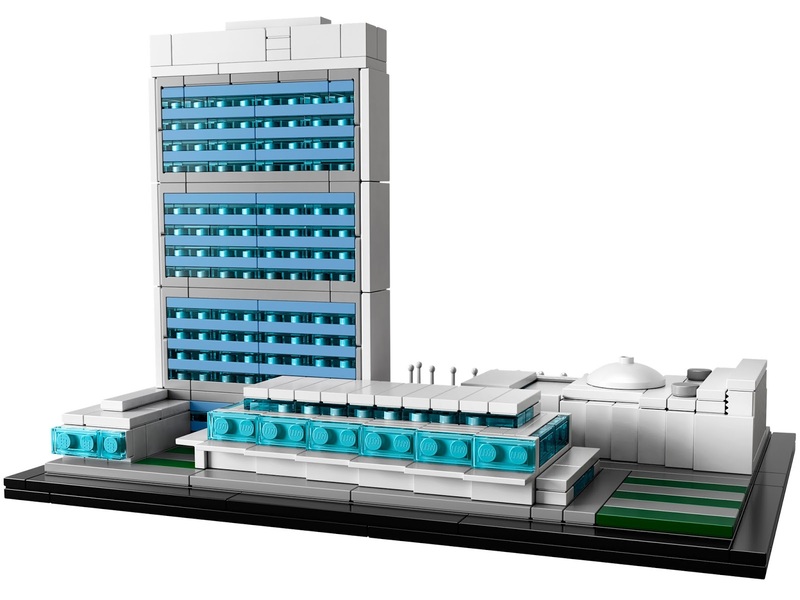 The winter review doesn't close until January, and we can expect to wait another year or so before we hear the outcome of this project and the others that join it. It was only a matter of time before this day came: The Lego Cuusoo team have announced they will be closing any Jurassic Park projects on the site, as another toy company has the rights to produce Jurassic Park construction toys - Specifically Hasbro's Kre-O range (which already snapped up another of my dream Lego themes, Star Trek, this year), which signed up to do Jurassic Park sets earlier this year, ready to release along side Jurassic Park 4 in the next few years. 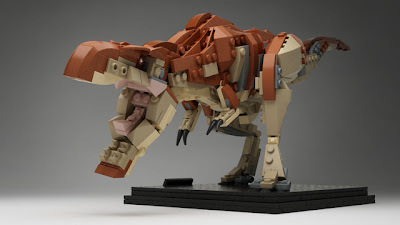 Fortunately not all is lost, the brick-built dinosaur from the newer Jurassic Park project has also been put up separately, as a dinosaur UCS-style set. 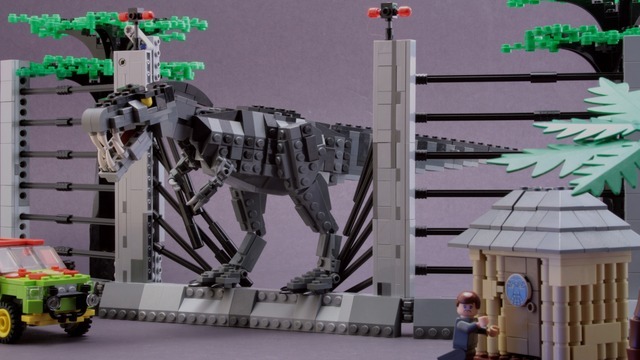 Without the trappings of Jurassic Park it wouldn't have to worry about any licensing issues if it is successful, and could set a very exciting precedent: If it sold well enough it could kick off a whole new range of detailed brick build dinosaur sets! 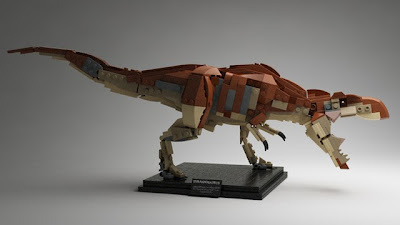 While we wait for that, we don't do too badly from Lego with dinosaurs anyway. 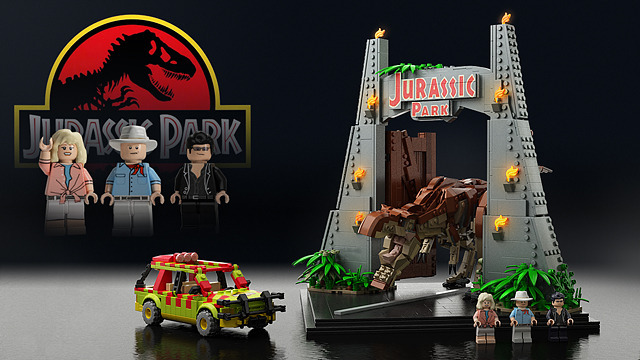 They did indeed once produce Jurassic Park sets (just two slightly clunky Studios ones based on Jurassic Park 3), and regularly release dinosaur themes, the most recent, Dino, just last year. The Creator line also quite regularly has dinosaur based sets, which while not quite as anatomically accurate or sculptural as the above build, are still pretty pleasing! 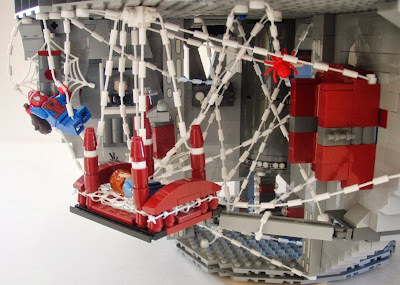 Lego and Marvel have released another new trailer for the forthcoming Lego Marvel Super Heroes video game. 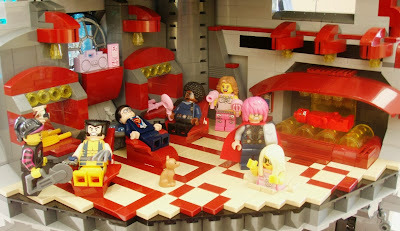 This time they highlight Stan Lee, who is in the game as a playable charcater, complete with, it seems, all manner of super-powers. 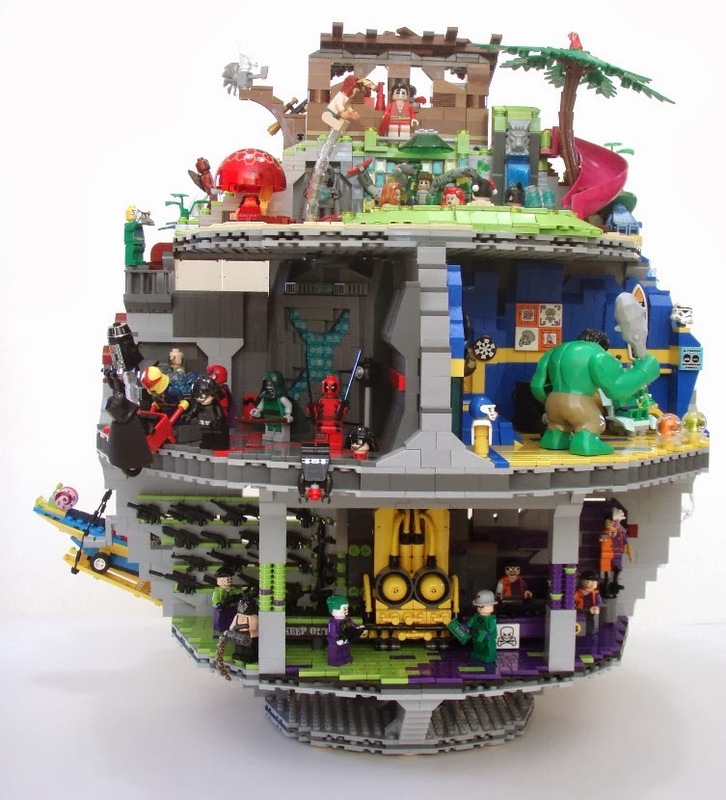 Including Stan Lee-Hulk! 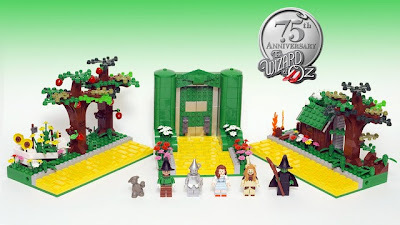 The latest proposal to get to Cuusoo review is once again mining cinema history, this time heading back a few more decades than previous popular ideas, with an idea for a series of Wizard of Oz vignettes. 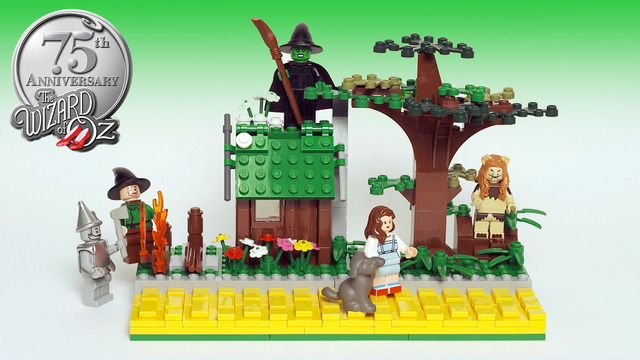 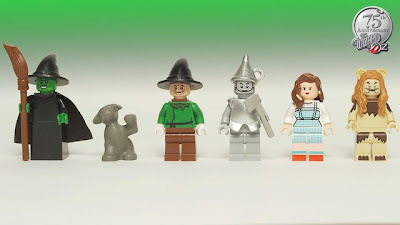 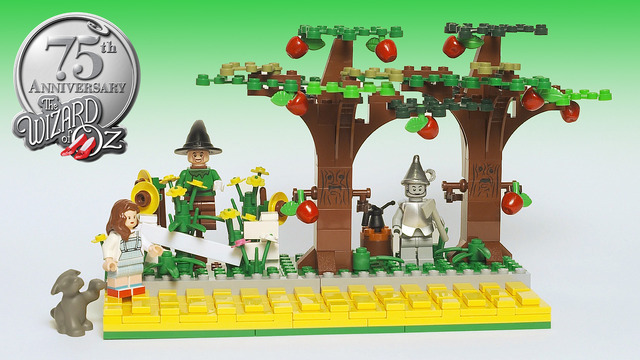 The set as proposed would include Dorothy and Toto, along with her companions the Cowardly Lion, Tin Man, and the Scarecrow, as well as the Wicked Witch of the West. The really neat bit is the three separate sections of yellow brick road and be reconfigured to display the journey in a couple of different ways. This proposal gained support with impressive speed, and as far as brand fit and saleability goes it's got to be a winner. 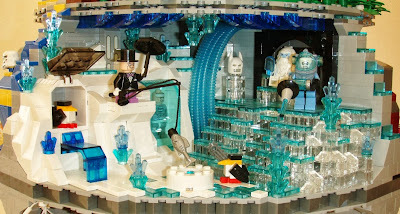 The only tricky bit is that some of the characters propose new molds, and there aren't many obvious ways round that. 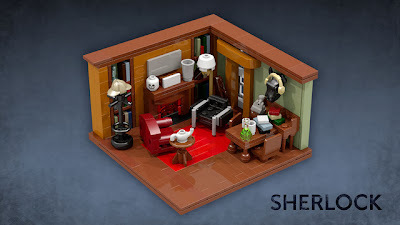 Time will tell, the proposal passed the review stage just in time to get into the autumn line-up, alongside the female minifigure set, CERN's ATLAS experiment, Faster Than Light mini spaceships, Poptropica's Dr. Hare’s Lair, and two proposals for the Ghostbusters' car. 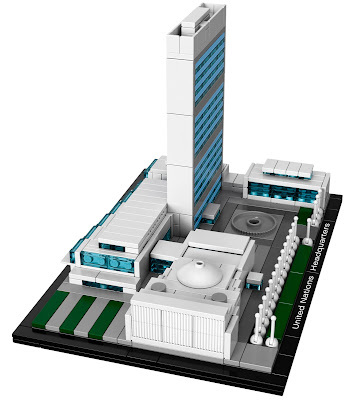 With several other review periods still awaiting outcomes it will be some time until we hear how any of these projects do. ...a little bit at least: A new minifigure pack has been released, so far available at Legoland in California. 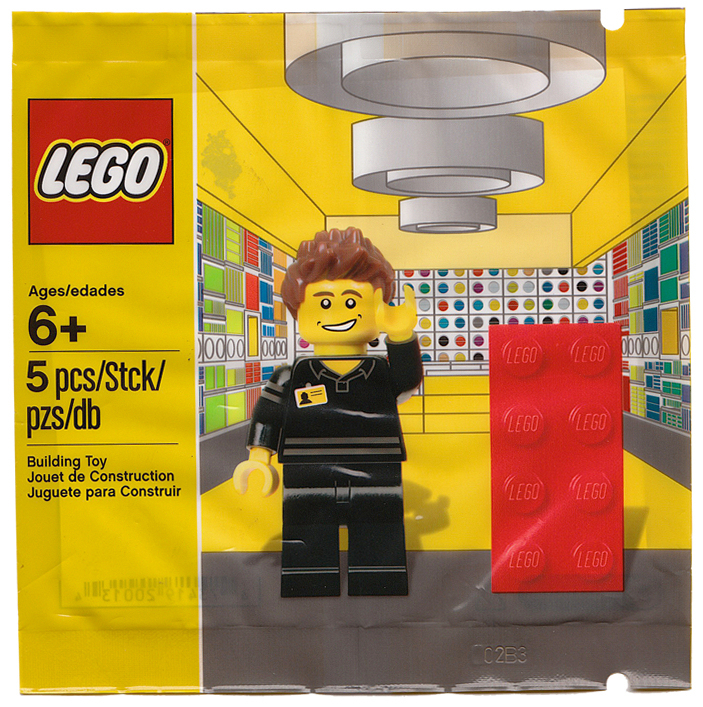 It uses the same style packaging as the Collectable Minifigure combi-packs, but draws more from the Pirates line than the Minifigures (which have only featured one pirate so far). 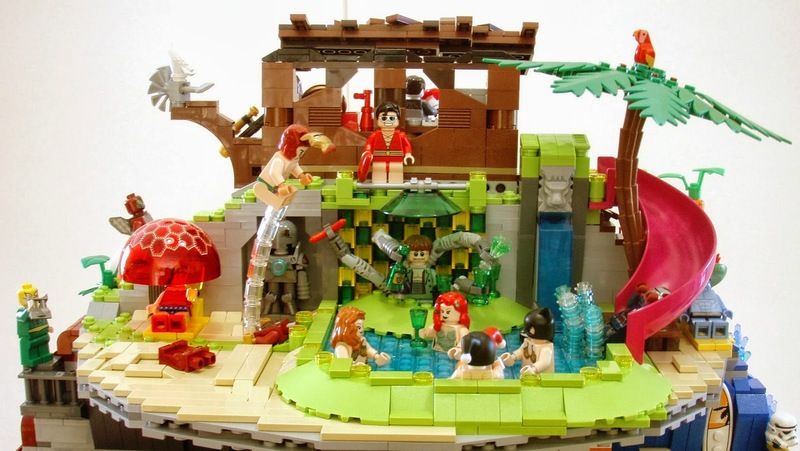 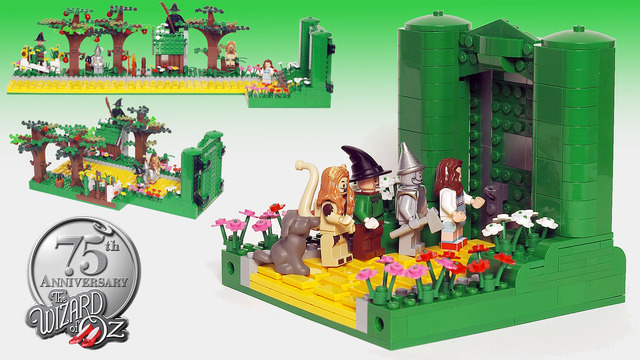 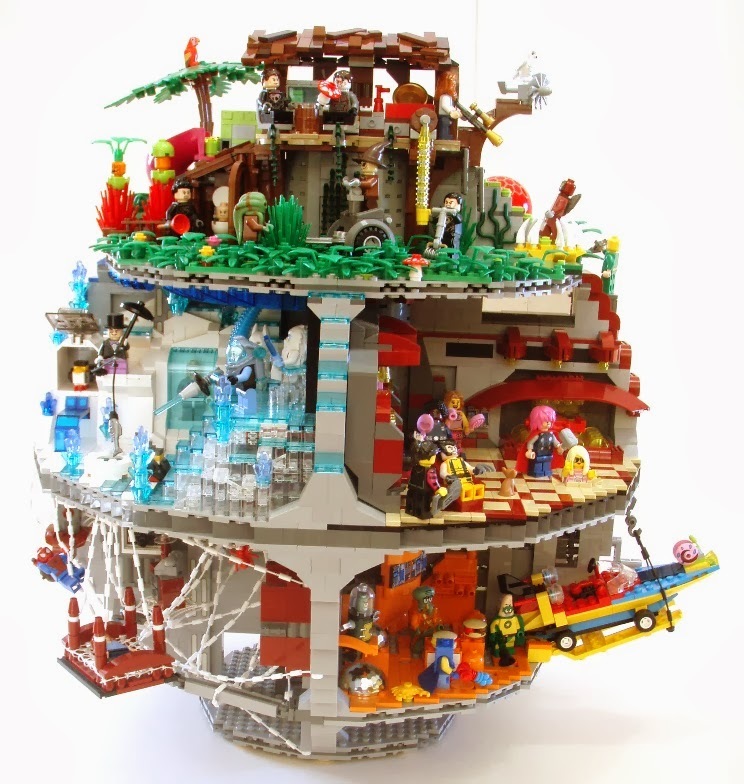 Unlike those previous three-figure sets, the new pirates pack comes with four minifigures, and as a result has less other stuff to build; just a chest of treasure and a bit of greenery. Flickr user Miro78 posted this photo, along with many more showing off every element in the pack. 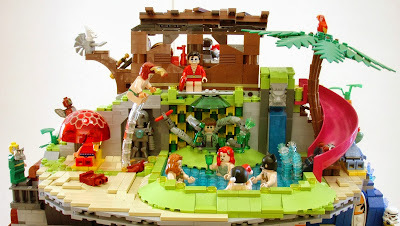 Hopefully Pirates will return in full force soon, it's been five years since the last wave of Pirates sets, although the the Pirates of the Caribbean sets have been and gone since, so it's not been forever since we've had a good dose of high sea adventure in the Lego world.